RTC Insurance Advisors thanks you for visiting our website. 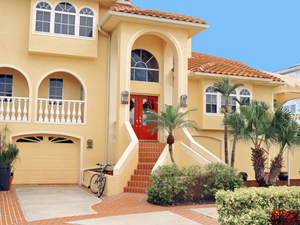 We will deliver superior homeowners insurance Florida to you. We have a quote form on this page, which will give you access to the best rates in the State. Or, contact us at 352-200-2066 and we'll figure out the best option for you in minutes right over the phone. It's important to know that when considering homeowners insurance Florida, there are a few special considerations you should keep in mind. The most important thing to remember is that there is a difference between the actual cash value of your property and the cost of its replacement. For example, you may have paid twelve hundred dollars for your living room furniture a decade ago, but today an equivalent set is more than five thousand. Actual cash value is the amount of money you require to replace or repair damage to property after depreciation. Homeowners insurance Florida policies are written to replace items of like kind and value, which may leave you picking up the balance of the cost. For example, if you purchased a heating and air unit ten years ago with a twenty year life expectancy your insurance company would deduct for the age and condition of the unit. We make sure to write your home owners insurance Florida policy with replacement cost so you aren't shorted money in the event of a loss. Request a quote now and we'll show you how the policy is structured. You will lower your rate with us. If you choose a replacement cost homeowners insurance Florida policy, it will cover the cost of any new item despite its age or condition. What this means is that our insurance will pay for the television you bought for three hundred dollars five years ago, but sells for eight hundred dollars today with no out of pocket cost to you. In 2005 legislation passed that requires full payment without depreciation hold-back for personal residential policies in some cases. You may choose actual cash value, but your agent is required by law to offer you the replacement cost policy. If you decide to reject it, you must sign a statement indicating you chose not to accept it. Also, standard replacement costs depend on the limit stated in your home owners insurance Florida policy. Most homeowners insurance Florida policies require you to insure at least eighty percent of your home’s replacement cost. However, the option to buy guaranteed replacement for your home and property is available. It only costs a few dollars more, but it absolutely insures that anything damaged within the limits of your policy will be replaced. Unfortunately, older homes are usually excluded from this type of home owners insurance Florida coverage. Another special topic most homeowners should be aware of is inflation guard when asking for home owners insurance Florida. The rising cost of goods or even adding on to your home can increase the replacement costs of your things while their actual value drops. An inflation guard protects against these rising costs by gradually increasing the coverage limit for your home each year so that your policy remains current. This option may also keep your coverage in line with the increasing costs of construction per square foot. No matter what choices you make with your homeowners insurance Florida, make sure you read your policy carefully so that you understand what its limits and exclusions are. It is important for you and your family to know what options you have for your home. We look forward to having you as a client. Request a quote and we'll get working for you right away.